Temporary and Permanent Work Visas - Secures work visas for United States companies in the high tech, medical, academic, research, hospitality, agriculture, construction, and other sectors that need to employ foreign workers temporarily and permanently in the United States. Advises companies about how to comply with obligations related to employing foreign workers. Worksite Enforcement - Advises companies about all aspects of complying with federal and state employment eligibility verification laws (Form I-9 and E-Verify), employer sanctions, and Social Security “No-Match” letters. Conducts internal and independent audits for companies, evaluates their compliance with such laws, and helps them develop and implement workable compliance plans, training programs, and “Best Practices” to employ a legal workforce. Represents companies that are being investigated and targeted by the United States government for compliance audits and other worksite enforcement actions, including administrative, criminal, and federal contractor debarment proceedings. Has successfully negotiated lower administrative and criminal fines, lower criminal penalties, and alternatives to debarment. Foreign Investors - Secures temporary and permanent visas for foreign investors through their investments in the United States. Collaborates with other attorneys in the firm who have expertise in those areas of law that a foreign investor is likely to confront when investing in the United States, such as intellectual property, banking, corporate & securities, employment, real estate, tax & estate planning, etc. Educational Institutions - Advises charter schools, school districts, colleges, universities, and foreign students regarding immigration-related issues. Individuals - Helps individuals and their family members who are seeking immigration benefits through family, those who are facing deportation, and those who need special waivers to return to or remain in the United States, including United States citizenship. International and Domestic Adoptions - Helps United States citizens adopt children internationally and secure immigration-related paperwork for their adopted children. Also represents clients in private-placement, agency, and step-parent adoptions before the Utah State Courts. Although he no longer practices in these areas, Mr. Wheelwright also has substantial experience in employment law, commercial and probate litigation, and general business transactions. 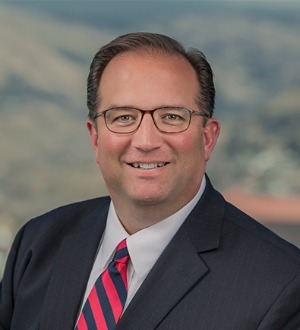 Mr. Wheelwright’s main office is in Salt Lake City, but he also represents clients in the firm’s other offices in Ogden, Provo, St. George, and Las Vegas.